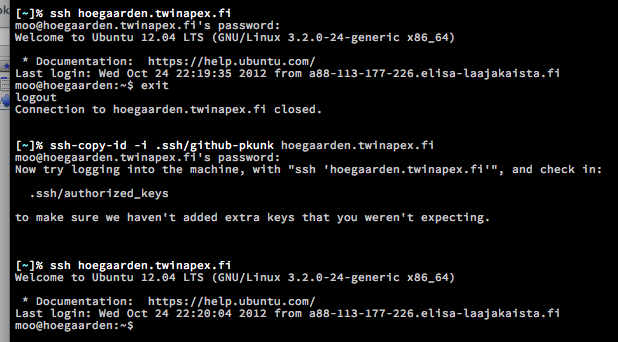 Subversion supports SSH. This means that, when enabled, you can do svn up on a remote server without need to give or store your SVN password on the server. Thesvn+ssh protocol support for Subversion must be enabled and it may not provide per-user repository access control, as oppose to https protocol with Apache. For the state of the art UNIX system the direct root SSH account is disabled for the security reasons. Instead you ssh in as a normal user and then elevate your privileges using sudocommand.